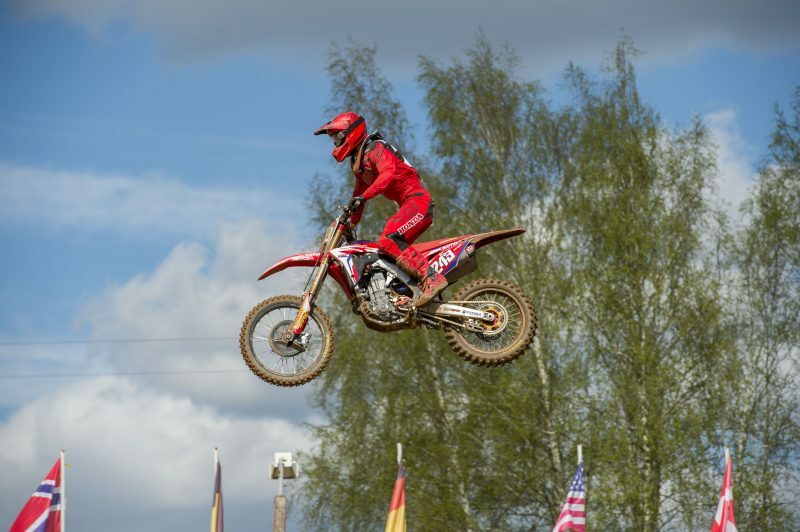 In front of a crowd full of fans for the Russian, Bobryshev took home third today on his #777 CRF450RW at the MXGP of Latvia. 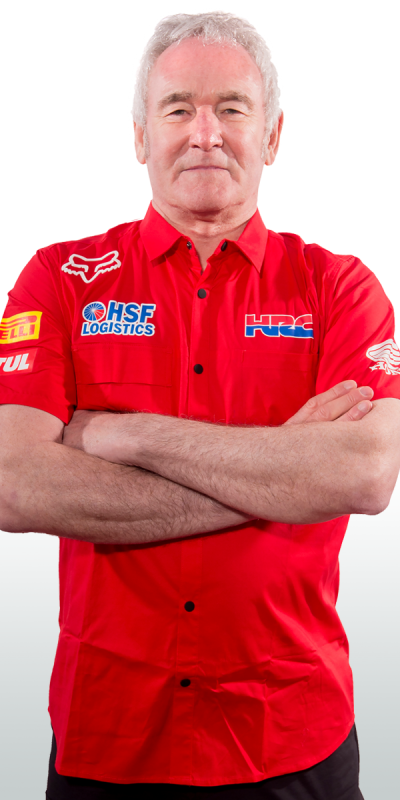 Bobryshev had a consistent and valiant ride today in a track that was growing more technical by the lap. Although he didn’t get out the front at the start, he quickly manoeuvred into third position. 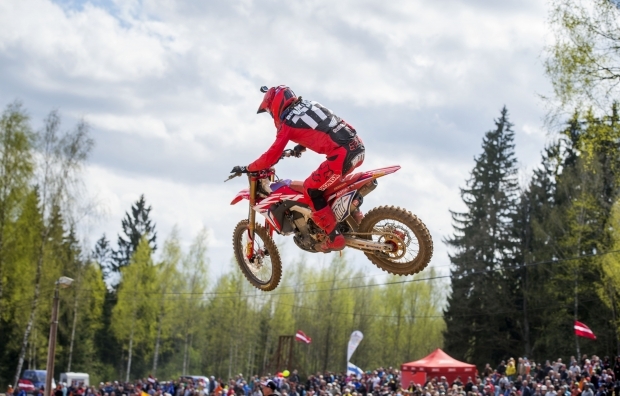 After initially dicing with Desalle for second he held third until the end of the race. 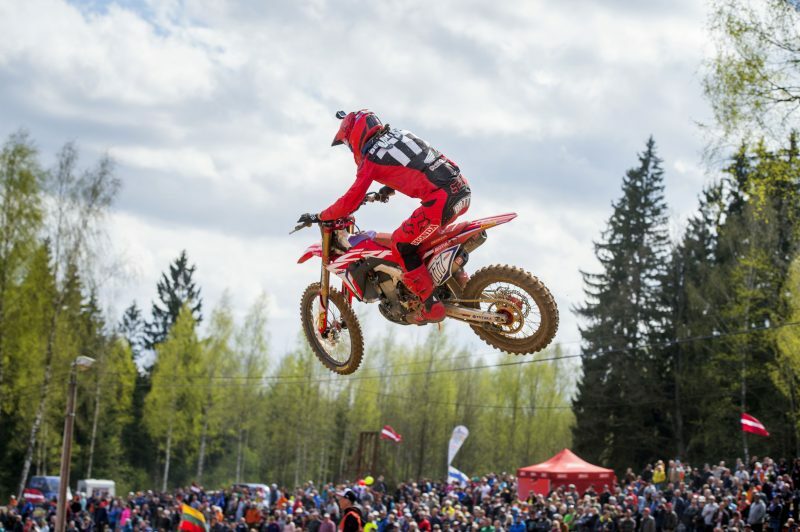 By the second race the track had changed considerably but it didn’t fluster the Russia after getting a good gate he had an early battle with Cairoli and ended up in fourth which was enough to bring home third overall. 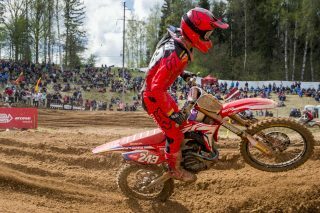 Gajser’s day didn’t go so well. 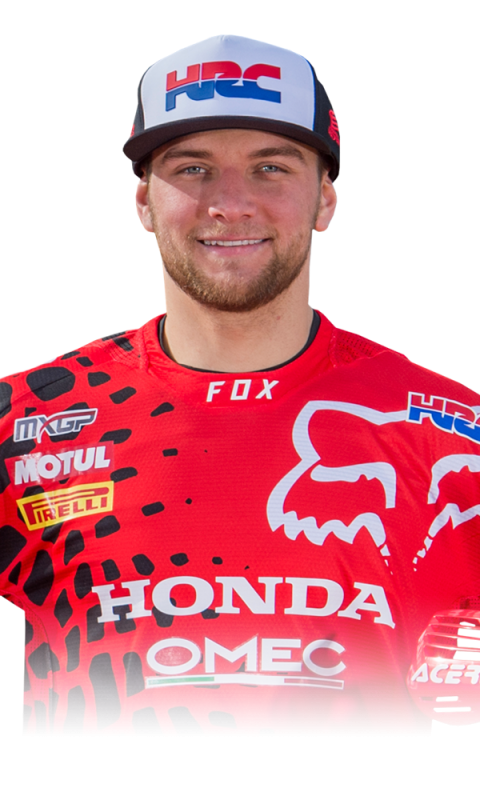 In the first race, he got taken out in the second lap by Jose Butron. The crash caused him to have a severe dead leg which he couldn’t initially shake off and hampered his progress for the next six laps. Through gritted teeth he pushed his way back to 14th place. 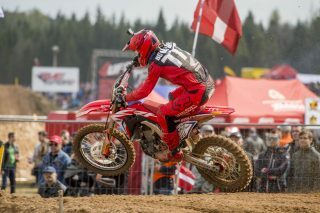 The second race started well for the Slovenian, he made his way into second place and was starting to pull in Herlings. Disaster struck five minutes before the end of the race when he lost his footing in a rhythm section, causing him to cartwheel off the bike and crash out of the race. 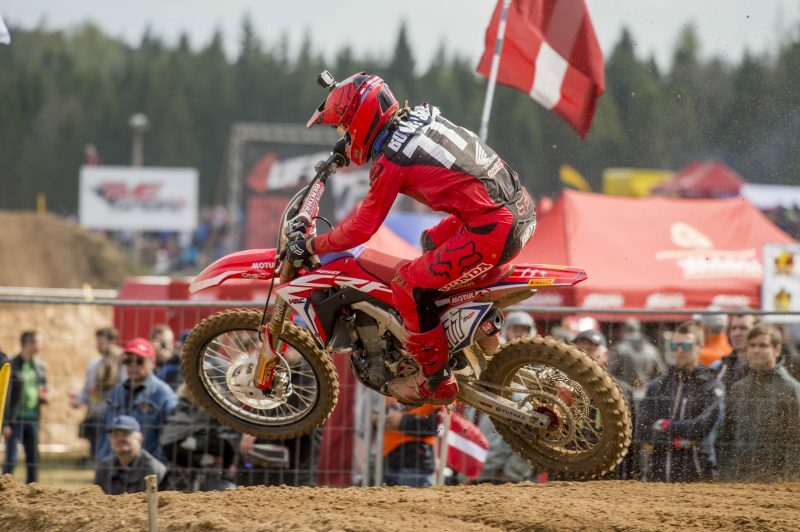 Gajser is currently undergoing medical examination and an update will be released as soon as we know more. 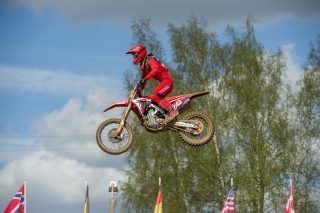 Everything went well today and I finished on the podium which is always good to finish on the box. 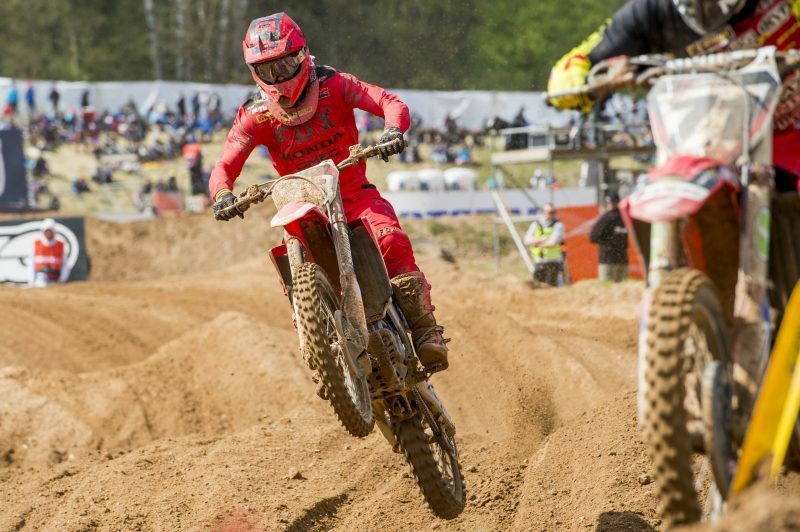 In Valkenswaard I had some health issues so I had a difficult week in the lead up to Kegums as i have been recovering. I really like the ground here and the layout of the track but today the track was actually really rough especially in the second moto! I like that this is close to my home as I have alot of fans that come and support me and it is good to deliver a result for them. I am really looking forward to getting my fitness back and moving to another race. I hope my team mate Tim is OK from his big crash today. What a bittersweet race day. The positive from this was the great result from Bobby on what proved to be one of the most difficult tracks we have raced this year. 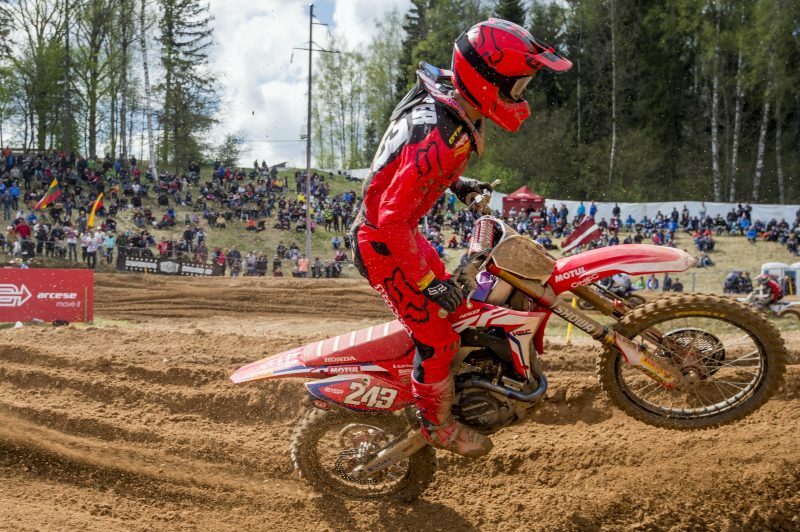 Bobby rode consistently throughout the day and just about stayed on two wheels to bring the result home. The bitter part is obviously relating to Tim. In his attempt to push for the lead, disaster struck going into a rhythm section. He lost his feet off the footrests which caused him to cartwheel. It is such a shame as we were just starting to see the ‘old Tim’ back again in that race. We still wait for more news but hopefully it is not too bad. He is being checked out medically now. He has been walking but is beaten up quite badly so let’s now focus on getting fit and ready for the next GP.